4 Sons 'R' Us - Page 100 of 100 - It doesn't always have to be expensive, but it does have to be fun & 'full'-filling! 4 Sons 'R' Us - Page 100 of 100 - It doesn't always have to be expensive, but it does have to be fun & 'full'-filling! Growing up my Mom tried really hard to make memories and create traditions for myself and my sisters. We always had something to look forward to. No matter what the holiday, we had something special to coincide. Looking back now, it always added to our anticipation and made events seem more special, even the little ones, and sometimes almost magical. Mom also loved flags. She had lots of flags, a flag for everything. We would even compete for the honorable duty of ‘changing the flag.’ Perhaps the only occasions without their own designated banner were birthdays. I will never forget the year I woke up to discover a special flag had been hung, while I slept, with a birthday cake on it. Let me tell you, when you’re under 6 and there’s a banner waving to the world announcing your birthday, you feel like royalty. Every year after that, for every birthday, we woke up to our flag flying high. I wanted to do something similar for my boys, but I didn’t inherit my mother’s love for flags, so that was out for me. However, I do love wreaths! I had seen several balloon wreaths for sale and decided that would be the perfect announcement to grace our front door announcing my own children’s special days. The boys loved it! I loved it! It was simple, affordable, and could easily be adapted by coordinating colors for any theme or other event. Warning: Do not unwrap your straw wreath! It will make a gigantic mess and you’ll feel like you woke up in a hay field. Take one balloon and one floral pin. Starting at any point on the wreath, pin the balloons into the wreath using the floral pins. Pinning the balloons to the wreath at their middle helps ensure a more uniform look. 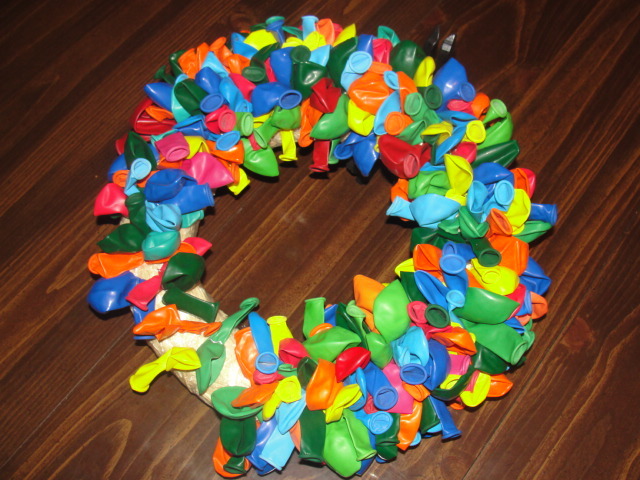 Continue pinning balloons around the wreath, alternating colors until you’ve achieved your desired result. Display on your front door. One of my guys go to appetizers when we eat out is spinach and artichoke dip. While I don’t always want to eat out, I do enjoy serving them their restaurant favorites from the comfort of my own kitchen. That, and they look at me like I’m a magical kitchen wizard which kinda tickles my fancy. So, several years ago, I set to work making a delicious at home version of their eat out favorite. Now, it’s become a recurring cast member at our annual celebrations, including holiday dinners and parties. Now, are you looking for the perfect creamy, rich, and indulgent dip to share as a special treat with family? Or for a perfect Super Bowl appetizer that’s easy to prepare, but has guests thinking you’ve slaved away all day in the kitchen? Look no further than this recipe. This is the best Spinach and Artichoke dip I’ve ever had. I’m talking plate-licking good. Even better, it’s one of the easiest possible appetizers to make. Prep takes maybe 5 minutes, and that’s being generous. If you’re looking for something versatile, this is also the dip for you. My family enjoyed it for New Year’s Eve, and I served it with slices of a very crusty baguette. We’ve also enjoyed it with tortilla chips, crackers, mini toasts, and pretzels. Since it was for a special occasion I went with full fat ingredients but, if you’re looking for something more figure-friendly, you could easily shave off half of that by using the reduced fat, or non-fat counterparts. In a food processor, or in a bowl with a spatula, mix all ingredients together until evenly combined. Transfer dip to a baking dish and bake 25-30 minutes, or until the cheese has melted and the edges are golden-brown. Serve with bread slices, tortilla chips, crackers, etc. Every time I turn around, it seems like groceries get more expensive and I’m getting less ‘bang’ for my buck at checkout. I have a set grocery budget that must feed six people and I only shop once a month. I’m always trying to maximize the amount I can purchase within that and spread the love to all my families’ meals. I love finding ingredients that can cheaply be used to make multiple things, especially things that are key ingredients in multiple recipes. It makes me feel all giddy. Call it an obsession of mine. I know, I’m weird, and I’m totally OK with that. One thing in particular I know has drastically gone up at the stores is meat, and I use A LOT of meats. Chicken, especially, has seen a price hike and I haven’t seen great sale prices in quite some time. I’ve always preferred boneless, skinless breasts, simply because I am also lazy, and try to find shortcuts in the kitchen so that making dinner from scratch every night isn’t always an entire evening affair. I do have kids I have to attend to after all. In seeking out cheaper alternatives, on a whim, I decided to buy a $3.00 pack of two bone-in, skin-on chicken breasts about a year ago. I kept them in the freezer for some time since the prospect of de-boning was rather daunting. Finally, I decided to try cooking them like I would a whole chicken, in the crockpot, and the results were life changing! Or at least revolutionary in my kitchen. Enter: Cheapskate Chicken! Now, from only one $3.00 package of chicken, with minimal (and I mean bare-minimum) prep, and just a handful of other kitchen staples, I get enough chicken for 3 meals that will feed all 6 of us, am able to make about a gallon and a half of chicken stock/broth, two packages of carrots, celery, and onions infused with flavor and ready to throw in your homemade soups, and even have meat to add in with our dog’s dry food for 2 weeks at a time. Interested yet?! I’ve never encountered a simpler multi-step process. Here goes. Add whatever other dry seasonings you’d like to add a hint of flavor to the meat. I prefer Montreal Chicken seasoning from McCormick. Occasionally, I will add in some minced garlic. For easier removal from the crockpot (it’s so tender it has a tendency to just fall off the bone) turn your crockpot off and let the breasts cool before taking them out. Don’t worry about your chicken burning or sticking to the bottom since you haven’t added any liquid. As the chicken cooks, the moisture it expels will collect on the bottom of your crockpot and prevent it. Not to mention the ‘dry’ cooking leaves the skin incredibly crisp and delicious. My kids always argue over who gets to eat the skin when it’s done! Remove both breasts from your crock pot and place them on a clean surface, cutting board, plate, whatever you prefer. Pull all the meat you can find off your chicken, making sure to remove any bones that may come away with it. Place any bones in a bowl, along with the skin if you haven’t gobbled it up already like I do. Any meat you don’t want, whether it’s dark, fatty, whatever, either add to the bowl with your bones, or if you have a furry friend, place it in a zip lock bag to save for him/her, again being careful to remove any bones. Once you’ve picked your chicken clean, package up the meat you’ve kept, either in tupperware for the refrigerator or in freezer bags for the freezer in meal-size portions. If the chicken isn’t shredded enough for you, give it one quick spin in the food processor, or until your desired texture is reached. Your crockpot is really going to get a workout today. You’re all ready to use it again! 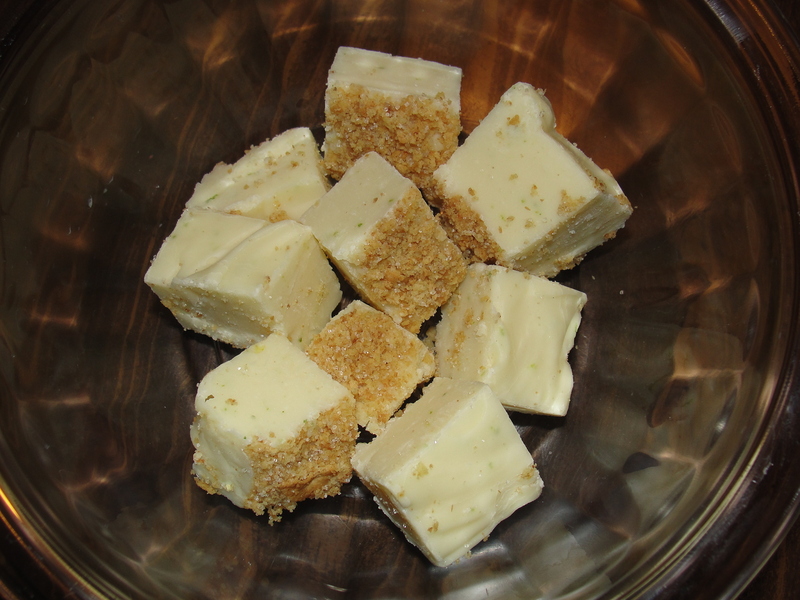 For this step you will need a few additional ingredients which I’ve listed below. Throw your discarded chicken bones, fat, and skin back in your crockpot. Add in the prepared vegetables. Salt and pepper to taste, and add in any other spices you think your stock might need. Pour enough water over the vegetables to fill your crockpot about 1/2 inch from the top. When cool, pour the contents of the crockpot into a strainer that has been placed inside of a large stew pot. Preferably, one that can rest on the edge of the pot so it’s sits up out of the liquid that separates from the solids. After draining, remove the strainer from over the pot and pick out all pieces of bones, skin, and fat and discard them. Package up the veggies to freeze to use as sides for meals, vegetables for soups, stews, and other recipes. Their juicy flavor is incredible, and will enhance any meal. Add enough water to fill the stock-pot until the desired consistency is reached. Thicker, darker broth is considered ‘stock’ and is typically a little more potent, the more watered-down is broth. Both are good and you will never want to buy the store-bought versions again. Refrigerate or freeze your broth and use as needed. I typically keep some broth in the fridge and freeze the rest. I save any old plastic containers, such as yogurt, sour cream, ricotta cheese, etc, with their lids since plastic containers can be re-used, and also allow for the expansion of the liquid when it freezes without breaking, shattering, or cracking. If you prefer a leaner broth, let the entire stockpot full of broth cool in the refrigerator before packaging until the fat has congealed, or hardened. Using a spoon, skim any fat off the top of the broth. Then package. Now, sit back and give yourself a pat on the back. Your family will think you’ve slaved away in the kitchen all day and all night, and sing your praises, but (SHHH!) you, your crockpot, and your pocket book will know the satisfying truth. 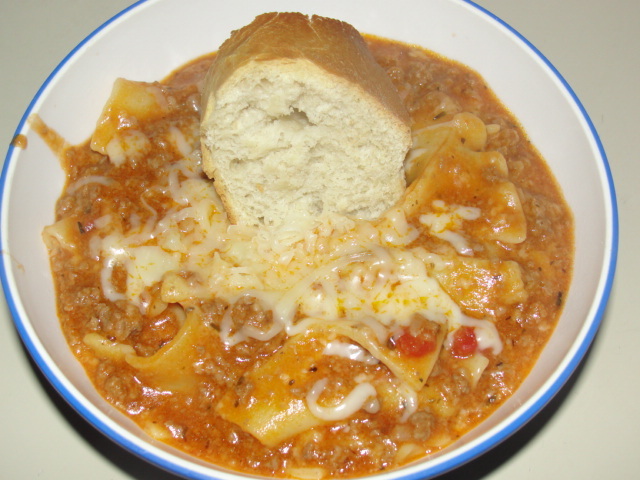 Given my husband’s Italian heritage, and our love of all things pasta, I figured I would give Paula Dean’s lasagna soup recipe a try. 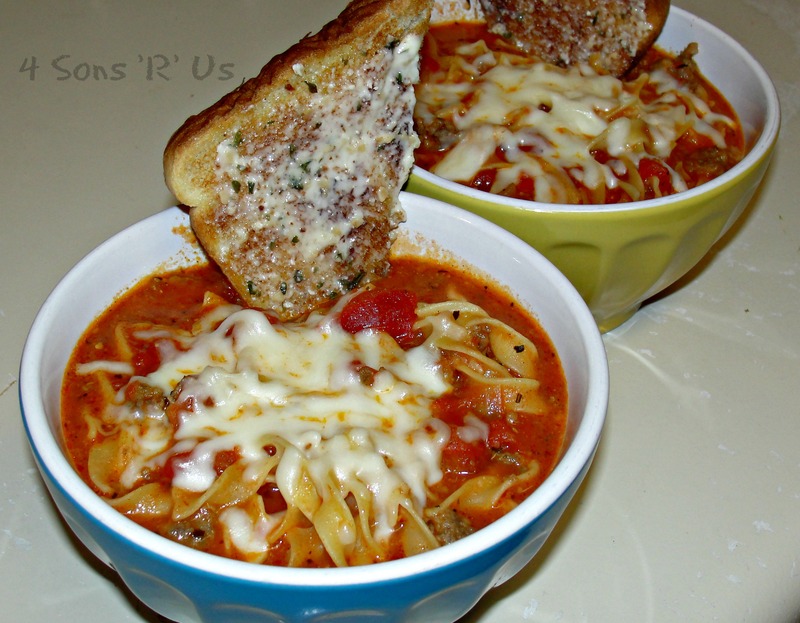 Naturally, my guys were skeptical about any recipes’ ability to make a soup, however hearty, truly taste like one of their all time favorite pasta bakes; however, they’re always up for trying anything new that I put out on our table. Boy, were they blown away by the finished product! It really did taste like, you guessed it, lasagna. I did make a few changes to suit my tastes and make it a little less soupy, but it only enhanced the flavors and left everyone feeling all warm, fuzzy, and full afterwards. UPDATE: Wow. It’s been 2 years and I’m finally getting around to updating this recipe’s photos. Trust me, it needed to happen. I’ve left the original posted at the bottom for your viewing enjoyment. Or not. 😉 We don’t always go the crust bread loaf route when serving this. Another favorite is pairing it with slices of Texas toast that have been toasted and then slathered with our homemade Italian garlic butter. Mmm, mmm, mmm. 1. In a large skillet combine ground beef, ground sausage, onion, bell pepper, and garlic. Cook over medium heat, stirring occasionally, until beef and sausage are cooked through and crumbled. Drain. 2. Transfer meat mixture to a large stew pot and add in broth, tomatoes, sauce, thyme, Italian seasoning, brown sugar, and salt. 3. Bring to a boil, stirring occasionally, over medium-high heat. 4. Reduce heat, and simmer about 20 minutes, stirring occasionally. 5. Add in noodles and continue simmering until noodles are tender. 6. Stir in the parmesan cheese. 7. Serve soup and garnish each bowl with shredded mozzarella and a piece of warm, crusty bread. 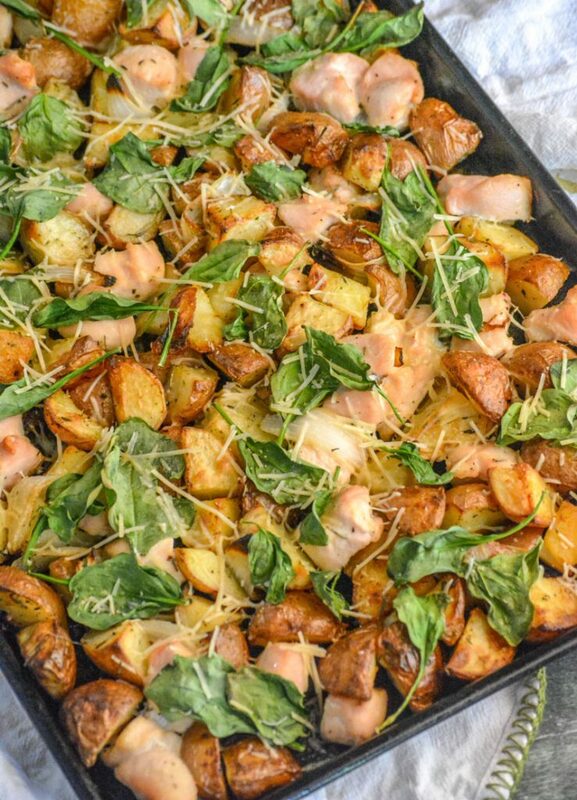 An easy family meal that cooks all on one pan, this easy Roasted Chicken and Vegetable Sheet Pan Supper features roasted chicken with rosemary Parmesan potatoes, caramelized onion wedges, and seasoned baby spinach leaves. It’s so yummy, the kids will willingly eat their greens! As our 3 year old is getting older, we’re working much harder on things he should know for school, especially the basics, such as letters, numbers, colors. He also loves making things with his hands and craft time. 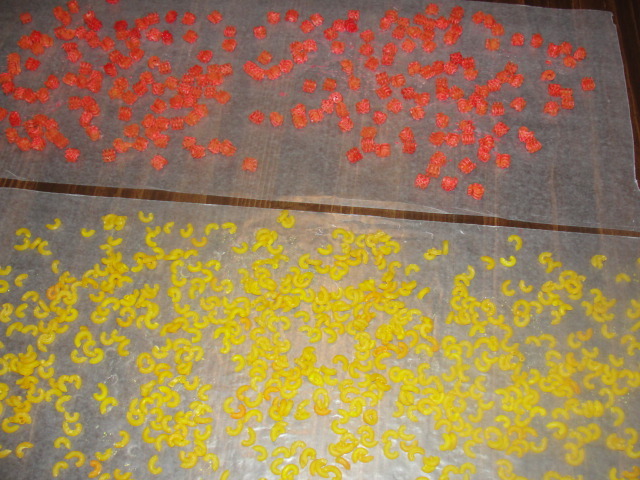 I figured rainbow pasta would be fun to use for a wide variety of crafts: necklaces, picture frames, learning to use glue, and of course, reinforcing colors! His favorite color is ‘greem’ so, of course, we made green pasta and then the primary colors. Start to finish this took maybe 20 minutes and was incredibly easy. Since my 3 year old still thinks his middle name is ‘Hoover’ and tries to eat everything I didn’t want to use rubbing alcohol to set the dye, even though that seemed to be the most common method. Instead, I used white vinegar. Grayson picked out bow tie, elbow, penne, and radiatore pastas to color. He helped with the entire project and thought it was ‘wonder-bull.’ You can also substitute rice for the pasta with the same great results for sensory activities as well as crafts. Flip the bag every 5 minutes for 20 minutes. When it’s dry, you’re ready to create! There are some things that just can’t be eaten without marinara. They just aren’t satisfying without the addition of its slightly sweet, robust flavor. Mozzarella sticks, toasted ravioli and pizza quesadillas immediately come to mind. Toss it with some cooked pasta and you have an easy entree. However, not all marinara is made the same and those that are truly delicious and flavorful are often rather pricey, even on sale or in bulk. At one point, to save some extra money in my grocery budget, I tried not buying it, but tomato sauce and pasta sauce were poor substitutions. So I set about finding a recipe that I could make at home for minimal cost. Now, let me introduce you to my homemade marinara that will tantalize your taste buds while leaving your wallet pleasantly plump! The entire recipe, which made 3 batches for our family of 6, cost about $3-4 to make and used things I always keep stocked in my pantry. Oh, and last but not least: it cooks in your crock pot while you sleep. You just set it and forget it. Easy, right? *I make my own brown sugar. To make your own brown sugar simply combine 1 cup granulated sugar with 1 1/2 tbsp molasses and stir until evenly mixed. I give mine a quick spin in my food processor. Add all ingredients to your crockpot and stir well. Cook on low for 8-10 hours, or overnight. If your crockpot is not airtight or notoriously dries things out, you may want to add more water as a precaution. Remove the lid, stir well. Remove the bay leaves, and enjoy! 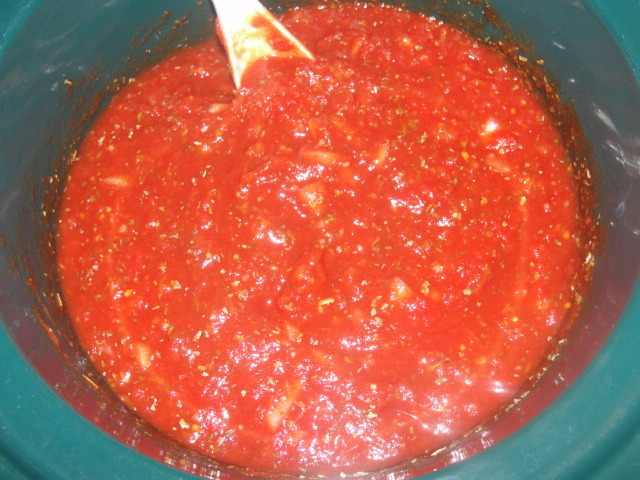 Also, do not be alarmed when your sauce is done if it’s bright red color has become darker and browner. You want this. It lets your know that it’s cooked and that the sugars in the sauce have caramelized. 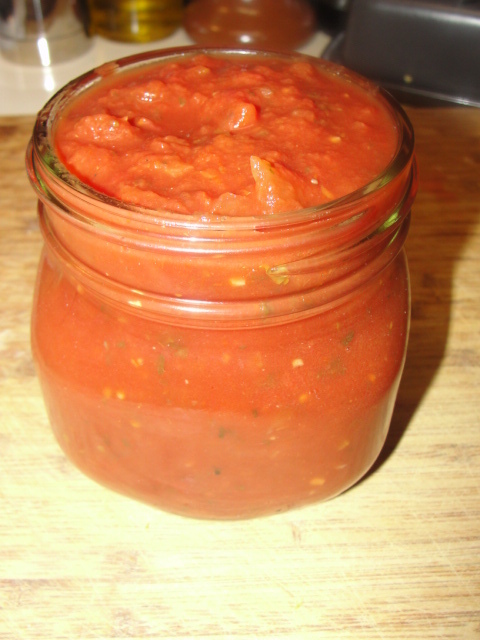 Making your own marinara sauce is that easy! You can enjoy immediately over your favorite pasta, as a dipping sauce, or store for later use. I canned two jars, and froze the rest. To unfreeze, put it in the refrigerator the night before you intend to use it. Then, when it’s defrosted, just heat and eat. Being that we have all these boys and seeing as how I am cheap, I try to buy in bulk whenever possible. Notice I said cheap. I’m not even going to try and dress it up and label myself as frugal, thrifty, etc. I’m just cheap. As part of my cost-cutting, we have a membership to Costco and that’s where the majority of our groceries come from. That being said, almost every trip to Costco my kids manage to convince me to buy them lunch, a snack, an ‘I’m going to die right this very minute if I don’t eat’ something from the food court. Their favorite thing to order is the Chicken Bake. 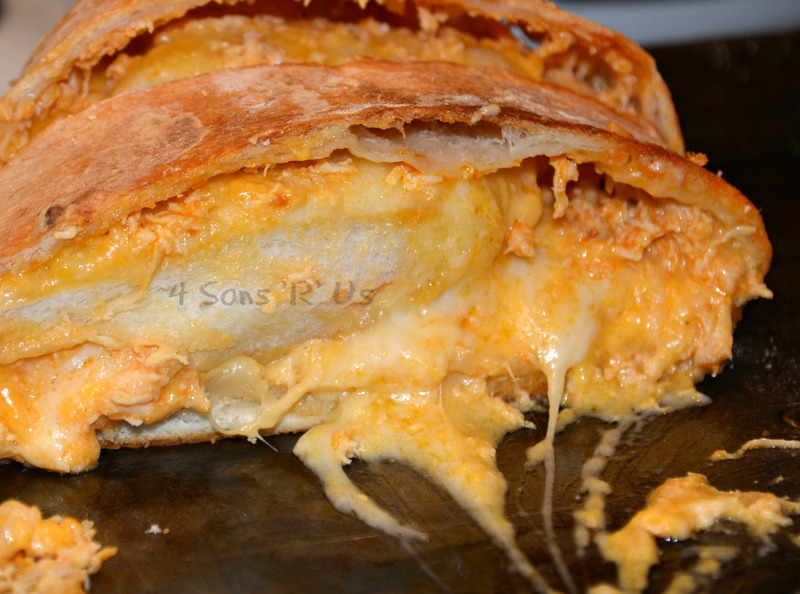 So when I came across this recipe for Buffalo Chicken Garbage Bread, I knew they would love it. I altered the recipe to the satisfaction of my tastes and those of my cheese-aholics. Notice I also changed the name. I could just imagine if I answered their ‘what’s for dinner’ question with something that included ‘garbage’ in its name. So I didn’t. 1. Pre-heat oven to 425°F. Toss chicken with 1/4 cup of your wing sauce. You can add more or less depending on your desired spiciness. Stir to combine, the ranch dressing and remaining 1/4 cup wing sauce. 2. On a floured surface, or counter top, roll out dough into a long rectangular shape. Spread buffalo ranch sauce evenly across the dough. Add chicken and then top with both cheeses. 3. Pick a side and roll the dough up to form a log. Seal both ends (prevents ‘oozing’ while baking) and place seam side down on a non-stick or greased baking sheet. 4. Bake for 30 minutes. Let sit and ‘rest’ for 5-10 minutes before cutting into slices, then serve! Measure the warm water into a bowl. Add yeast and let stand until the yeast dissolves and bubbles up, about 5 minutes. Add the room temperature water and olive oil and stir to combine. Add flour and salt to the bowl of a stand mixer and stir until the dry ingredients are combined. Slowly add the liquid ingredients and stir until a cohesive mass forms. Using the dough hook, let the mixer knead until the dough is smooth and elastic. Stop the mixer when the dough starts to pull away from the sides and form a cohesive ball. As best you can form the dough into a ball, put it in a deep, well oiled bowl, and cover with a damp cloth or plastic wrap. Let the dough rise until doubled in size, about 1 1/2-2 hours. Press the dough to deflate it, remove from the bowl, and turn onto a lightly floured work surface or countertop. Divide the dough into two equal pieces. Pre-eat oven to 400 degrees. Form pieces of dough into smooth, round balls and cover with a damp cloth. Let the dough relax for ten minutes. Working with one dough ball and keeping the other covered, shape the dough, and transfer to a non-stick pizza pan of your choice. Top as desired. 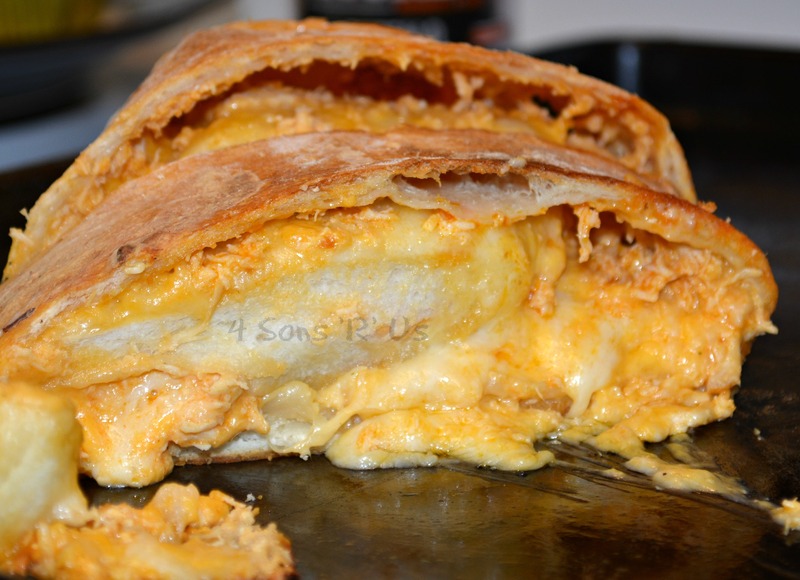 Bake for 18-20 minutes or until the crust edges are golden brown and the cheese is golden brown in spots. Repeat with remaining ball of dough or freeze* for later use. *If freezing the dough make sure you wrap the dough ball in plastic wrap before putting it in a freezer bag. Before freezing stops the yeast process, the bread will continue to expand some. It WILL pop through the plastic wrap, but the extra layer will prevent it from busting the freezer bag and offer you an extra layer of protection to prevent freezer burn. This dough tastes just as good after freezing as it does fresh.